Last week we witnessed the spectacle of the UK Chancellor Philip Hammond admitting that staying in the European Union would be best for the UK’s economy. The media narrative however is trying to convince us to forget this obvious fact. Every credible report states that all forms of Brexit will damage the UK economy. They also show that all forms of Brexit will be harder on Scotland than for the UK as a whole. However, in the face of this most business organisations have remained silent on the damage Brexit will do to Scotland but, worse still, others have welcomed the Withdrawal Agreement. The CBI (UK-wide) has issued a statement supporting the UK Government’s withdrawal agreement despite leaked internal emails demonstrating that the organisation understands it is a bad deal for business. This makes it look like the CBI is a business organisation that always prefers to support a Conservative Government in Westminster than to stand up for what is best for its own members and for business as a whole. I find it incredible that the CBI prioritises the ability for large companies to avoid tax as more important to their competitiveness than seamless trade with the world’s largest trading bloc. Large companies will find a way to trade – it is smaller companies that really need the single market as they will find barriers to trade harder to overcome. So I was somewhat shocked to see that the FSB in Scotland has also welcomed the withdrawal agreement and quite remarkably called upon the Scottish Government to set aside £75 million of its budget to help firms mitigate the effects of Brexit. Thus demonstrating that they too understand the damage Brexit will bring to Scotland economy. This is where the FSB call for a fund doesn’t make sense. Scotland voted 62% in favour of Remain and the most recent poll from Hope not Hate states Scotland would now vote 70% in favour of Remain. That means the UK Government is deliberately acting against Scotland’s best interests economically (as admitted by Hammond) and against Scotland’s democratically stated wishes. Therefore, the UK Government and not Holyrood should supply the funds required to mitigate the damage and not force the Scottish Government to cut money from other Scottish services or spending priorities. I have greater hopes for the Scottish Government than just mitigating bad government from Westminster – if you have two systems of government and only one is doing a good job then why not just get rid of the distant, delusional and dysfunctional Westminster one? Welcoming the withdrawal agreement is simply not a credible position for business organisations to take. We cannot blindly accept that this Brexit is inevitable. There is a significant probability that the Brexit withdrawal agreement will be defeated in Parliament. There are also likely to be attempts at amendments to the bill that would maintain single market membership, as well as a customs union agreement, but this too looks like it won’t gain enough support to pass. This may mean that we have a General Election or a second EU referendum. Accepting the UK Government’s framing of a binary choice between the withdrawal agreement and no deal is a false premise – it’s all to play for. Business people and the public need to know that Brexit will damage Scotland’s exports, slow our economy, create inflation and cost jobs. 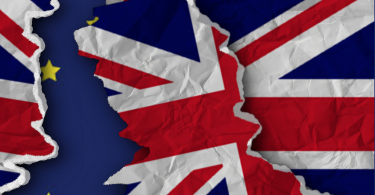 Many business organisations feel it is too political to suggest stopping Brexit and are cautious about their reaction to the withdrawal agreement. However, Brexit does not have to mean leaving the single market and customs union (SMCU). There are no political restrictions on business organisations making it clear that a style of Brexit that goes some way to safeguarding some jobs and exports should still be on the table. 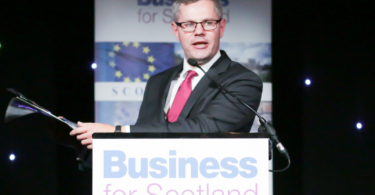 So last week I wrote to the heads of Scotland’s other business organisations and asked them to join BfS in calling for membership as part of the withdrawal agreement. If the traditional business organisations won’t stand up for the best interests of Scotland’s business community in a non-politically restrictive issue then what’s the point of them? Brexit is bad for Scottish business and we all know it. With 8.4% of the UK population, Scotland receives 17.5% of all EU grants to the UK. EU membership is a fantastic deal for Scotland. Exporting is also key to Scotland’s economy: Scotland is the only UK nation to have consistently exported internationally more than it imports. England, Wales and Northern Ireland’s balance of trade has fluctuated but mostly remained persistently negative. In the last set of UK Government trade figures, the UK operated a £128.2 billion trade deficit whilst Scotland recorded a £4.6bn international trade surplus. If there is any mitigation spending from the Scottish Government it must be to make sure that Scotland’s exports are not caught up in the massive traffic jams at Dover that will be created if we leave the SMCU. 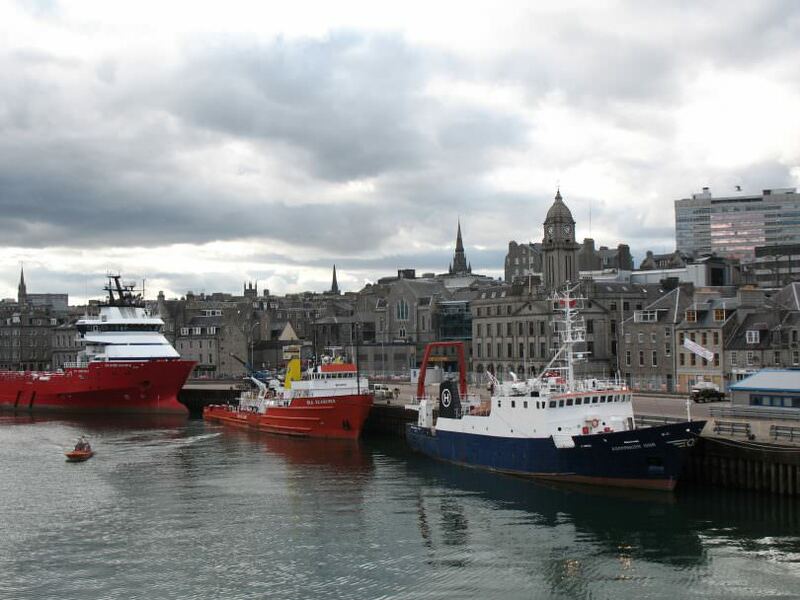 We need to develop deep-water ports: one for Europe (probably Rosyth) and one for the Americas (probably Inverclyde) so that Scotland can control and facilitate its own trading after Brexit. Think about it for moment – if the UK leaves the SMCU it will have to hire hundreds of highly skilled international trade negotiators (who don’t exist) and set them the task of negotiating worse trade deals than we already enjoy through our EU membership with almost all the nations of the world. Westminster is about to be engulfed in Brexit vote chaos. Let’s hope it opens the eyes of the Scottish voters who previously mistakenly put their trust in such an outdated and incompetent system of Government. Excellent antidote to the pro May deal utterances of Sir Ian Wood . SIW has been a proponent of the Union ever since the arse fell out of his trawling enterprise ; he fell into the Don and came out wearing a Seville Row suit when his fleet of trawlers was commissioned to act as standby vessels for oil rigs . Now he postures as a prophet of doom and gloom threatening to scupper an independent Scotland’s economy. Best of luck with your Ambassadors for Scotland program.